I was standing in the post office shipping off a package when I got a burst of inspiration to take this funny picture. It uses humor to describes some of the challenges people with developmental disabilities face but it also helps me vent my frustration and address a wider issue. First day of school. College interviews. Job interviews. It seems like the most important encounters that determine the quality of our life are also the most superficial. So much could go wrong in the first impression. One girl I had just met told me that she thought my body language was condescending. My rationalization: First off what does condescending body language even look like? I googled it because I was so perplexed and turns out condescending can only apply to language. I think she was trying to say defensive or standoffish. A man who had just met and conversed with me briefly once told me that my use of vocabulary words like “tantalizing” and “perturbed” in everyday conversation makes him think I am keeping people at a distance. My rationalization: I am always happy to explain things in a different way in order to clarify what I’m talking about but in this case, they did not give me the chance to clarify my idea. He just made an assumption on my intentions of using “big words” and technical terms when in actuality that is how I talk. If I could change the transparency between my words and nonverbal body language, I would. But I cant. I could choose to be all mopey and sad about this, and sometimes I am. But for my own sanity, I come up with a new interpretation. Having these mannerisms provide a filter for which people are meant to stay in my life from those who turn away without getting to know me. You can tell a lot about a person’s character that way. They are missing out. One of the greatest compliments I’ve ever received was from an old lady who said, “the questions you ask changed the way I look at the world and myself.” I have friends who do not have Aspergers and are completely different from me interest-wise, and yet they have contributed an incredible amount of insight to my life. I truly believe you can change the world around you in a good way by being yourself, practicing mindfulness, and being kind. So given the positive changes that come from expanding your mind by engaging with a mentally diverse population, why are many people still hostile? I am hopefully graduating from The University of Vermont at the end of the summer. The closer it gets to graduation the more nervous I become because I know that unfamiliar social circumstances are coming. I know that as I apply for jobs or move out of university housing, I’ll be introduced to new people and situations which equates to more potential situations where first impressions can go wrong. Am I scared? No. Am I angry? Yes. I’m angry at society for creating a social structure that uses superficial social situations to determine some of the most important outcomes for our life. I believe as long as you are a nice person spreading positive energy wherever you go and to whoever you interact with then you are golden. Even though I have Aspergers, I feel incredibly fascinated and engaged with the world around me. I feel so much love and need for connection with people. Ideas and questions are running through me like a continual stream of visual thought. But since how I feel and think is not consistent with my body language, it is often met with judgement and hostility. This meme shows the frustration I feel with the fact that there is a huge disconnect between what I think and feel, and what is being presented to the outside world through my nonverbal body language. In another blog post, I explain some useful coping skills to dealing with hostile people. Alix’s childhood was hindered by undiagnosed Aspergers until she learned to harness her gifts. Now, at 21 years old, she has already done what most people can only hope to do in their lives; speak to the UN, make a major scientific contribution, give a TED talk, and travel the world. Alix was misdiagnosed as a child. Told she was strickened with a plethora of mental illnesses and learning disabilities, she spent years desperately seeking answers until she found the right kind of help that enabled her to flourish; piano playing, composing, ballet and science. Alix is an undergraduate student in Vermont working toward a degree in neuroscience. She is also currently working on several research projects studying autism and schizophrenia. She utilizes the college learning disabilities accommodation program and now lives comfortably with her challenges. 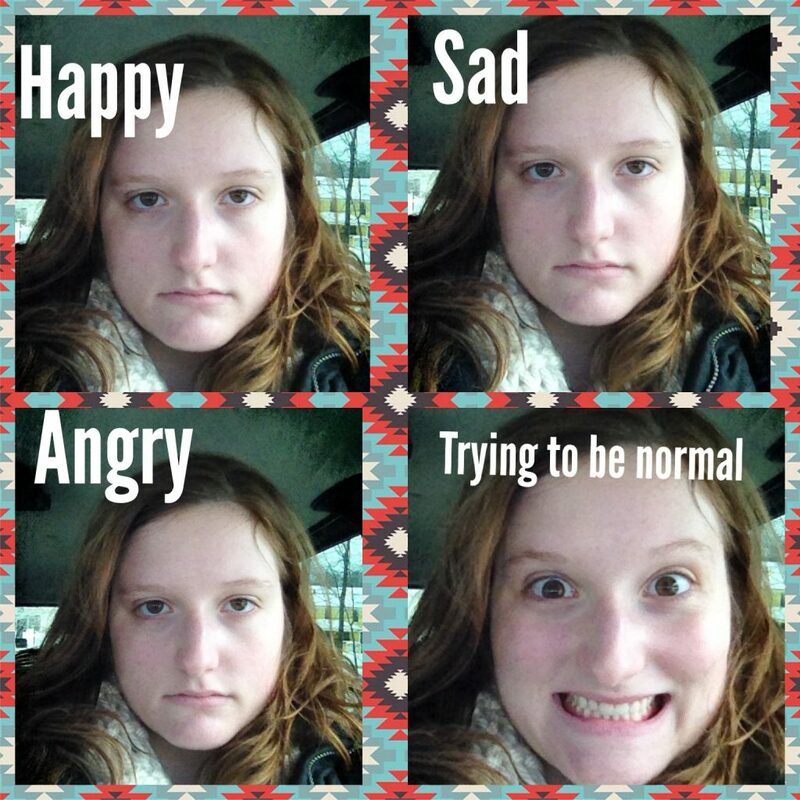 Aspergers101 is thrilled to offer you the insights and brilliance of Alix! I was diagnosed last year at the age of 39. As a child, I learned not to use big words that I’d learned from books in real conversations with people because they’d think I was stuck up. Females with asperger’s often go undiagnosed or misdiagnosed because of this ability to adapt so well. When I was learning that people looked at faces in order to, essentially read minds, and my face didn’t reflect my thoughts, I treated the situation like a photo shoot. I learned a pose and wore it the way some people wear high heels or a tie. I chose the facial expression off of a Buddha incense burner. If you wear that mouth expression then your retort to all naysayers is that you are practicing equanimity and seeking inner tranquility. That worked as the basic expression for me. I learned more, later, and I think of them as silent words.